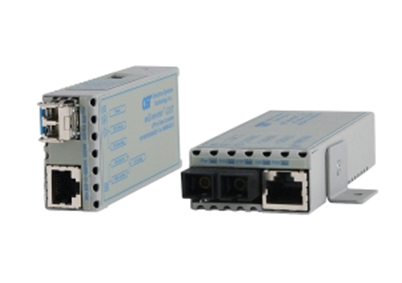 A media converter is a networking device used to connect two dissimilar media types such as twisted pair with fiber optic cabling. The device enables the users to mix-and-match the inherent advantages of the different media. For example, the user can securely connect IT equipment that are far apart using high bandwidth fiber optics and at the same time quickly set up the end devices such as security camera or wireless access point with the flexible and conventional copper solutions. Fiber optic cable have become a necessary cabling medium in any network, but the network switches may not have sufficient number of optical fiber ports or it may be prohibitively expensive to have one with many optical fiber ports. Media converters are used in all such situations. 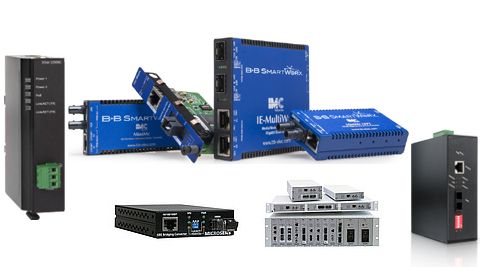 Media converters are available to meet the requirements of diffrerent types of fibers (multimode, singlemode) and different network speed (10, 100, 1000 Mbps or 10 Gbps).